Exercise of the Week: February 15th | Are You Being Real? Role Modeling – Take in and practice the qualities of someone you admire. 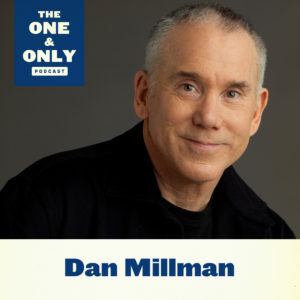 This is the exercise of the week from legendary best-selling author, Dan Millman (Way Of The Peaceful Warrior; The Four Purposes Of Life), and this week’s guest on The One & Only Podcast. It’s an opportunity to take a look at the characteristics and behaviors of your greatest role models, and apply them in your own life in a way that supports and elevates you in whatever you are aiming to accomplish. Whether its someone in your family, a teacher, friend, public leader, or past legend, give it a whirl, keep what works, and repeat. Who are you going to emulate this week? Give it a try and let us know how it goes in the comments section. For more from Dan, check out his incredibly insightful and inspiring wisdom.